We talk ‘country first’, but at the first opportunity to live up to this adage some resort to selfish, provincial behaviour. Take Carnival for example, presently it seems like everyone in Grenada wants Carnival to be brought to their respective communities, if not their doorsteps. With the attendant decentralization of the event, we are killing the product as we stretch and drain our limited resources. There seems to be no regard for the viability of Carnival. Enough is enough. We must bring an end to the haemorrhaging before Carnival dies from the bloodletting. For far too many years, this invaluable people-centred festivity has fallen below our expectations. The incessant complaints have not fallen on deaf ears. This writing is an honest attempt to break the cycle. Let’s be frank, fair and considerate, as I express the consternation of Grenadians and friends of Grenada, who no longer participate in nor visit our Carnival. They are fed-up of the deafening sounds from the mega-speakers, the lewdness, the drunkenness, the repugnant behaviour and the mismanagement of this event. These people, mind you, still want to play an active part in our Carnival celebrations. However, we need to give them an incentive-loaded alternative to what transpires on the Carenage. They are just not willing to accept more of the same. We need to create the option of a more sober and authentic Carnival experience. In so doing, we must make optimum use of the Market Hill and Market Square areas; our prized natural resource nestled in the heart of the City of St. George. Generally, Grenadians take for granted the special privilege of hosting two separate and distinct Carnivals, although there are some sceptics who claim that we are biting off more than we can chew. 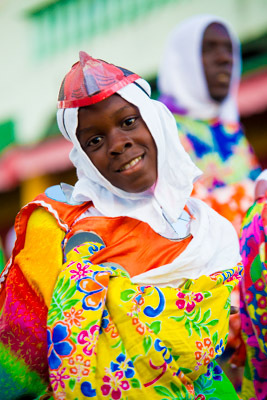 Our Sister Island Carriacou, leads off with its version of Carnival in February – post Independence weekend, with the mainland following suit in August. For this we should be forever grateful because even Trinidad, with all its resources and boastfulness, has one Carnival. There is no talk of a Tobago Carnival. In Grenada we hear the insistent calls for an increase in prize monies and that Government and the private sector should throw more money at Carnival in general. We live in a time when we constantly hear the calls for more, as it relates to monetary rewards. But we also live in a time when the availability of such financial support is extremely challenging and there is no rollback option. Also, there is no guarantee that an increase in subvention will ensure an improvement in the overall Carnival package, nor does it assure, especially under the present scheme of operations, that the rankling over financial matters will go away. While one may make a good argument for an increase in prize monies, we must take a hard look at the bare facts. With all the pomp and glitter, Carnival is not, and never was, a business. However, business transactions do take place during the Carnival season. Carnival is, and will always be, a time of free expression and frolicking. It is an act of volunteerism and national pride. Nothing more, nothing less. In the spirit of involvement and celebrations, a masquerader has always borne the cost of playing Mas. The same goes for an artist in preparation for competition. Ironically, contemporary expectations have it that one must be fully compensated for their outlay. In special circumstances it is understandable why a star artist, with a large fan base, would want to be compensated accordingly. But we have nondescript, fly-by-night, one and done wonders, demanding star treatment. I don’t mean to put any artist down but there are times, especially in these hard times, when you have to get real and share some tough love. Why is it that we only hear of the value that performers bring to Carnival events, and not the value that the events provide for the performers? The Carnival stage gives a non-entity local, regional, and international exposure…an opportunity to become a star. Added to the significant monetary compensation, some artists are even fortunate to be invited abroad to perform and pursue a career in the entertainment business. With all the associated benefits, it makes sense for these artists to invest in their craft. That’s how it is in the real world. Another thing that is taken for granted, is the sacrifice made by both the Government and the private sector, when the commercial sector is shut down on both Carnival Monday and Tuesday. This value (millions of dollars) should be added to the usual subvention made by Government, as well as the sponsorships from the private sector. Although there is no denying that visitors stimulate the economy by bringing in much needed revenue during the Carnival season, it is argued in some quarters that the returns on this essential investment is somewhat overrated. And by the way, don’t be misled by the full planeloads of people arriving during the Carnival season, because the majority of those arrivals are new and returning S.G.U students for the Fall semester, accompanied by their family and friends. In order to start addressing our predicament, we need to revisit where we were in the good-old-days, when our Carnival celebrations was the talk of the international community. Other than calypso/soca/groovy monarch, j’ouvert (Jab-Jab & Old Mas) masquerade, panorama, queen show, and Mas band competitions, we need to stage a more holistic exposition of our heritage by re-introducing fairs which showcased our local crafts, food and drinks – a la “Rainbow City Festival.” And we must do even more in driving up the community support and sponsorship of our traditional Mas such as shortnee, vieux croix, wild Indian, moko jumby, may-pole and big drum dancing etc. We are doing our nation a disservice by not putting its best product on exhibit. These elements of our heritage must be nurtured and highlighted because it is the staple of our Carnival extravaganza. We must not be misguided by bandwagon fantasy. Over the years, most of us have taken the pedestrian or ‘wait and see’ approach in relation to the presentation of activities in celebration of our Carnival. The overriding sentiment is that we can and must do better. The scary fact is that people are losing interest and we cannot continue to take our loyalists for granted. We cannot afford to be sub-standard. Some of our regional counterparts who once looked up to Grenada in admiration for ideas in developing their Carnival, have now moved on ahead of us, and with the passing of each year, the challenge for us becomes even more formidable. Managing Carnival goes beyond passion and enthusiasm. It is having a full understanding of the magnitude of the event, taking into account the needs of its stakeholders, participants and viewing public, while putting the necessary mechanisms in place to achieve the desired results. (1) Pan deserves its space and place: With the advent of the big truck, DJ and blaring mega speakers, came the overpowering and subsequent disregard for pan on the road during the Carnival season. Since steel pan music has been the foundation and backbone of Carnival, one does not have to rely on scientific study to ascertain the root cause of the steady decline of the Carnival product. The tonal quality and range of the steel pan cannot compete with the blaring sound of the mega speaker. Consequently, pan deserves its own space and place in Carnival. The ideal place is the Market Square area (Granby, Halifax, and Hillsborough streets) in the heart of the City of St. George. This area should be zoned and transformed into a ‘Pan City’ during Carnival. After an early morning jump-up on Carnival Tuesday, all steel bands will occupy the seven designated positions (more can be created) along the aforementioned streets and compete in a Bomb-tune competition later in the day. Thereafter, they will partake in a last-lap jump-up around the Market Square to close off Carnival. Back in the day, when Carnival was staged in the heart of the Town of St. George, those of us who were fortunate to have that experience, were compelled by fascination when the sweet acoustics of the steel pans reverberated off the buildings. That experience is one to behold. There are times when we get too far ahead of ourselves and get lost. This is an opportunity to reconnect with a pleasure of the past. Note: All parades/activity held in this zoned/restricted area will be accompanied by pan music only. (2) Decentralization/duplication of Carnival: Competing interests are crippling our feature attraction and must be seriously addressed. The breakaway – provincial mentality must no longer be tolerated. Carnival is a united national event that must be respected and treated accordingly. Each Parish has a day in the year dedicated for their respective celebration and this is the appropriate time to do the celebrating that is now done in direct competition and conflict with our national celebration. Let’s regroup and stop the selfish, mindless behaviour. Save Carnival. (3) Introduce a Schools’ competition: If we are serious about developing our Carnival product, then our young people, the future torchbearers, must be front and foremost in this endeavour. Our school system houses the most genuine, unspoilt, loyal, selfless, enthusiastic, and energised Grenadians anywhere, so they must be made relevant if we are serious about taking Carnival to new heights. Young people are also a natural attraction…they bring out the entire family. After all, this is our culture, our way of life on exhibit. The place should be the zoned area (Market Hill and Market Square areas) in the City of St George. The respective schools can be used as Mas camps, since at this time of year they will be on holidays. Whether they are categorized by age, school (private, primary, secondary), or grouped, no one over the age of eighteen (18) should be allowed to participate. All musicians and costume makers must also be under the age of eighteen…this exercise must be seen as a young people project. (4) Winners Special Pageant: Winners of the costume/pretty Mas competition on the Carenage should do a Market Hill presentation. (6) Due care and consideration for school-age Pan-players: As practice hours are extended and begin much later at night, there is an element of inconsideration or oversight as it relates to the involvement of our young children. It is absolutely unacceptable for young school children, who make up the majority of steel-pan bands, to be at practice through the wee-hours of the morning. Though there are some band-leaders who make a special effort to address the problem, more attention needs to be given in this area. (7) Too many Dead Hours during Carnival Monday and Tuesday: – With so many gaps of inactivity mid-day carnival Monday and the greater portion of Tuesday, can we truly justify public holidays for both days? Would a masquerader, who paid handsomely for his or her costume, look forward to repeating the scenario the following year? Also, it should never be assumed that each activity will be attended by everyone interested in Carnival, and, as such, everyone would need the same blocks of rest time. People are discretionary creatures and pick the activities that most interest them. (8) The use of Market Hill as Nature’s Stage: We must reopen our horizon and use the Carnival experience to exhibit the regal splendour of our Blessed Spice Isle. Market Hill is absolutely the best stage that nature has offered us, and we should put it to good use. There are three (3) staging points for our convenience: One at upper Market Hill, another at Deponthieu Street (Cockroach Alley) junction, and the third at the Grenville Street junction. It would be a very selfish and narrow minded act if those of us who have had the privilege to view this indelible spectacle on nature’s stage, would continue to deny those who haven’t. It is unimaginable…one has to be there to truly appreciate what spellbound audiences experienced back then, in the good old days. (9) A Floating Stage on the Carenage: A horse-shoe shaped, amphitheatre styled floating or anchored stage, along the centre of the Carenage, should be a prime judging stop. It could also be used for open-air entertainment during the Carnival season. We need to showcase the centrepieces of our beautiful country. (10) The Protection of Property and the Roadway: – There are too many instances of intentional as well as unintentional defacing of property along the parade routes. We must have contingency plans and set aside funding for the cleaning of bus stops and buildings, especially those unattended, to restore the beauty of our City. I strongly recommend that we protect the outer walls of buildings in the parade route with heavy duty plastic instead of the costly boarding-up. It is cheaper, more pleasant to the eyes and easier to apply and remove. Some entrepreneur could seize this business opportunity. Also, there must be designated paint-up/oil-up areas for the Jab-Jab Mass. And these designated areas must be protected with heavy duty plastic on the ground. No more paint or oil-up as you go along the roadway. (11) Provide more Incentives for the Members of the RGPF band: Circumstantially, the hard work and sacrifice by the members of the RGPF is taken for granted. The needs and wellbeing of these dedicated musicians must be considered. They are viewed as a captive resource and as such, minimal consideration with regard to compensation is given. These long-standing cultural ambassadors, are arguably the most overworked people partaking in our Carnival celebrations. They must be commended for the countless hours of setup time, sound checks, rehearsals with numerous calypsonians, and stage performances throughout the lengthy Carnival season. Note: The claim that the Old Town of St George’s is too small for bands is ridiculous, because back in the day there were Mas bands with over a thousand people, whereas today we see Mas bands with less than a hundred people. Also, our national security force is three times larger and significantly more equipped than it was back then. And there is no need for Big trucks, or any truck for that matter, because all music in this area, designated as ‘Steel City,’ will be provided by steel pan bands. Warning: There is a need for stringency as it relates to the use of Mega size Carnival trucks on the Carenage. This has gotten out of control. We should not wait for someone to be crushed by those massive, unprotected wheels before taking the necessary precaution. We do not have the adequate clearance (road width, and overhanging wires) that allows for the use of these oversized trucks. A policy, which limits truck size and enforces the use of ‘wheel shields,’ is urgently necessary. Finally, in free spirit and mind, I hope that my honest opinion is not misconstrued. I am hopeful that by unearthing the issues, the respective authorities will be sensitized and take corrective action. There is just too much at stake. Save Carnival. Free it from the hands of those who are either unfamiliar with our history, bankrupt of ideas, or oblivious of their shortcomings.